Buick’s resurgence as a legitimate contender in the luxury market can be attributed to its fresh lineup of vehicles, which is among the youngest in the industry. 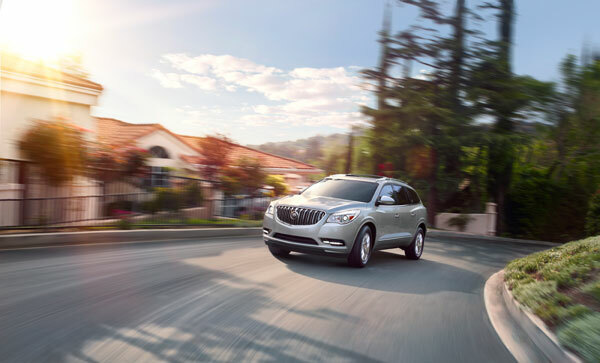 The Enclave is one of the vehicles leading the charge for Buick, as the seven-passenger crossover SUV was first introduced in May 2007 and flaunts one of the sleekest exteriors in the industry. The Buick Enclave was first introduced at the 2006 North American International Auto Show as a concept model, but quickly went into production as a 2008 model. The 2008 Enclave served to replace two debunked Buick models – the truck-based Rainier and the minivan-based Rendezvous. The Enclave was the first General Motors vehicle created on the Lambda platform, which would later spur the creation of the GMC Acadia and Chevrolet Traverse. Despite being in its first generation, the Buick Enclave recently underwent a relatively dramatic facelift. The mid-generation enhancement heightened the Enclave’s curb appeal, adding a new chrome waterfall grille, LED running lights, and LED taillights. The interior also got some upgrades, including ambient lighting, more soft-touch materials, chrome and wood accents, and the Buick IntelliLink infotainment system.